What is Pilates? 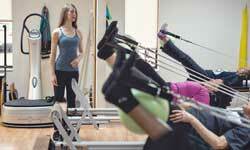 Find out about the pilates experience. Latest updates and special events at Pilates Fitness. Here's what our loyal customers have to say about us. 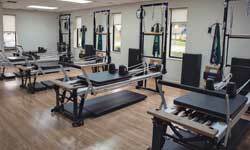 Tour our updated exercise and training facility and services. Welcome to Pilates Fitness & Physical Therapy Center in Southfield, Michigan serving Oakland County, Wayne County and Macomb County. We are a privately owned Pilates practice that combines traditional physical therapy services with innovative wellness programming. Our goal is to help you succeed in your journey to life long well being. 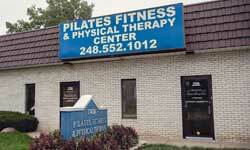 Pilates Fitness & Physical Therapy Center accepts many medical insurance plans. Our experienced office staff will be happy to assist you in finding out your benefit coverage for physical therapy services through your insurance provider. Should you not have medical coverage for rehabilitation, we offer discounted rates to fit your needs. We also offer competitive rates for fitness and wellness programs whether you want an individualized plan or a group session. The choice is yours. Contact us today to begin your journey of life long well being.